The new Jurassic World films are hugely enjoyable, but will never quite capture the charm and nostalgia of the original trilogy. The original Jurassic Park (1993) was undoubtedly the most superior of the franchise, bringing movie lovers some of the most iconic and suspenseful scenes of the action adventure genre. Endlessly quotable, breathtakingly shot, and genuinely pee-your-pants terrifying, it’s impossible not to marvel and scream right alongside the characters of the first installment. It’s even trickier to stop yourself from declaring ‘Welcome to Jurassic Park’ in key with John Hammond (Richard Attenborough). From raptors unlocking doors, to ripples pulsating in glasses of water, Jurassic Park brought audiences fears they never knew they had. And yet it also brought us sheer wonder, with the initial sighting of the dinosaurs being among my personal favourite movie moments of all time. Jurassic Park II: The Lost World (1997) and Jurassic Park III (2001) were admittedly not quite of the same calibre. However, both kept the monstrous spirit of the original roaring away, and make for perfect movie night additions in their own right. After all, who could forget the bit in The Lost World when teenager Kelly Curtis (Vanessa Lee Chester) kicks a raptor out of a window using her incredible gymnast skills? Or, of course, in Jurassic Park III when the humongous Spinosaurus swallows a – now prehistoric – mobile phone and emits a chillingly cheerful Nokia ringtone everywhere it goes? Like many twenty-somethings, I went to see Jurassic Park III with my entire family, drenching myself with Pepsi during the jumpy pterodactyl atrium bit. It felt like the most important and exciting movie event of the year, and I will still defend it until the death, talking plane raptor and all. Now, hold on to your butts. 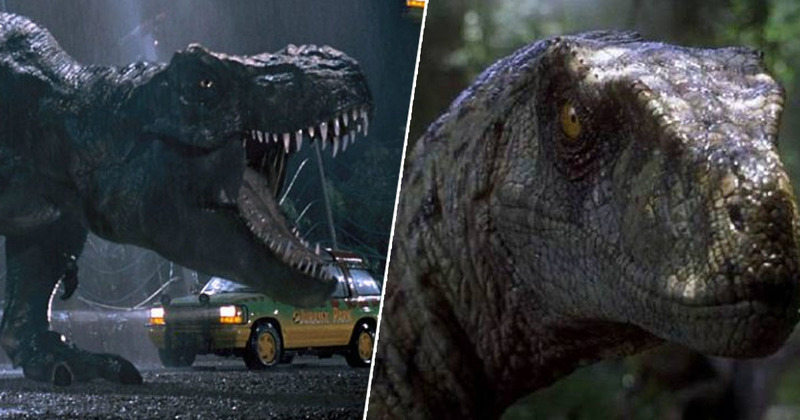 Life has finally found a way, and the full Jurassic Park trilogy is coming to Netflix. As of today, you can enjoy Dr Ian Malcolm’s (Jeff Goldblum) acerbic wit to your heart’s content, and ‘la la laaa’ along to the rousing John Williams score.